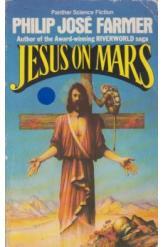 Jesus on Mars Philip Jose Farmer Sci Fi. Book is in good condition, all pages intact. A team of astronauts on Mars are captured by aliens whose leader appears to be Jesus. They must escape and learn the true nature of this entity before Earth too is threatened.